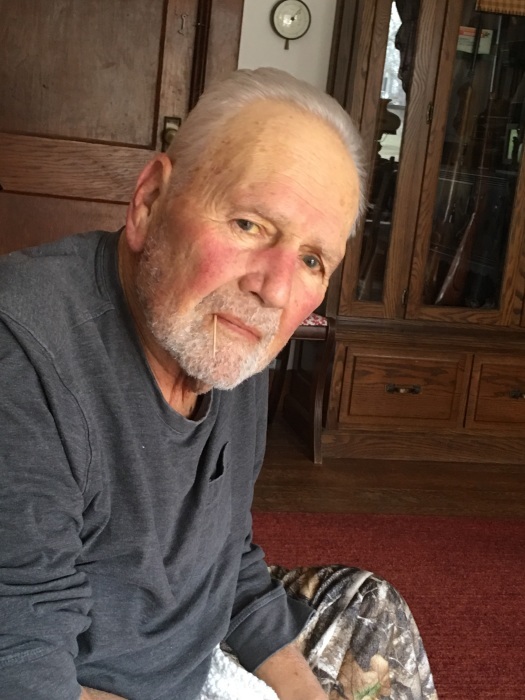 Obituary for Donald Clever | Wellman Funeral Homes, Inc.
Donald Clever, 79, of Kingston passed away on March 28, 2019. He was born on August 31, 1939 in Hocking County to Richard and Margaret (Delong) Clever. Donald was a Zane Trace School Board Member, active cattle farmer and looked forward to Ross County Fair each year. He was preceded in death by his parents. Donald is survived by his wife Sharon Shewalter, children Donald Jr. (Amanda), Steven (Annette), Gary A. (Jo), Amber N. (Roy Leach) Clever and Kathy Hill, step daughters Benita (Dan Ward) Burton and Michele (Chad) Mettler, 14 grandchildren, 22 great grandchildren, sister Sue (Bill) Schick, nephews Bryan (Cyndie) and Mark (Katie) Schick and by loving pets Rock and Ruby. Funeral services will be held on Monday, April 1, 2019 at 11:00 a.m. at the Wellman Funeral Home, Laurelville with burial to follow in Green Summit Cemetery. Friends may call at the funeral home in Laurelville on Sunday from 1-5 p.m. Memorial contributions are suggested to Ross County Agriculture Society, P.O. Box 614, Chillicothe, Ohio 45601. Online condolences can be made to www.wellmanfuneralhomes.com.